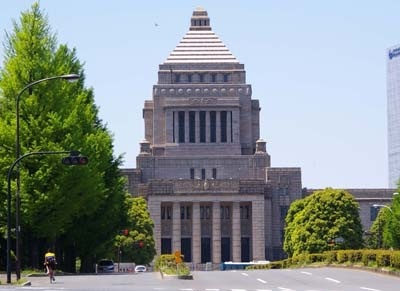 The first imperial diet of modern Japan was convened on December 29, 1890 according to the Meiji constitution which had been adopted in 1889. 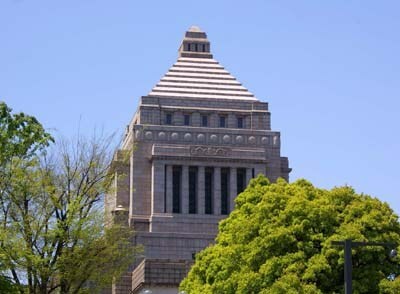 The convention was held in a temporary building located at Hibiya. But the building was burned down the next year, and another temporary building was built in a few months. 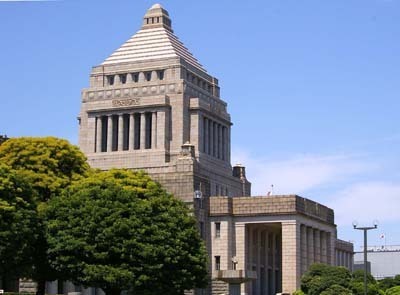 The current building of the diet was completed in 1936 on a hill of Nagatacho after long years of provision. 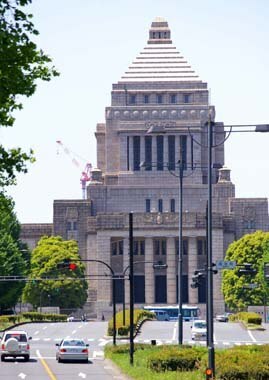 The building was made with granite and other materials all made in Japan. The central tower is 9storied. 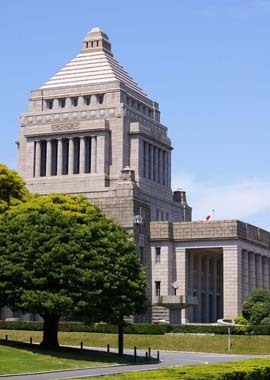 After the Pacific war, new constitution of Japan was adopted in 1947 which renamed the legislature the national diet. The diet consists of the house of representative and the house of councilors.